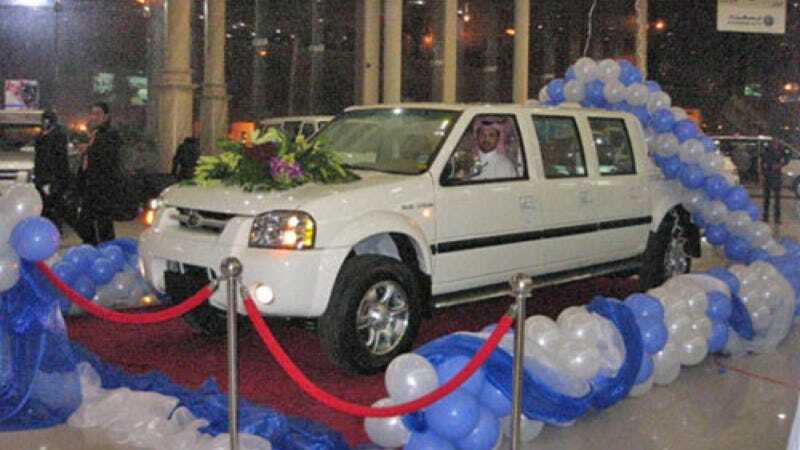 Did You Know Great Wall Made A Six-Door Pickup Truck For Saudi Arabia? Al Rassam Trading Group, the Saudi-Arabian distributor of Great Wall introduced the "Three Cabin Sailor" in 2007. Apparently about eighty of them were ordered that year, at about $120,000 a pop. I wonder how many split in half jumping their first sand dune. The Sailor is one of Great Wall's mainstay trucks; boasting about 100 horsepower and 4WD. The "regular" version is a slim 3,300 pounds. Couldn't find any information on modifications that had been done to this extended version; beyond the obvious adding of the doors. Any of our Saudi Arabian readers or Middle East travelers ever seen one in action?